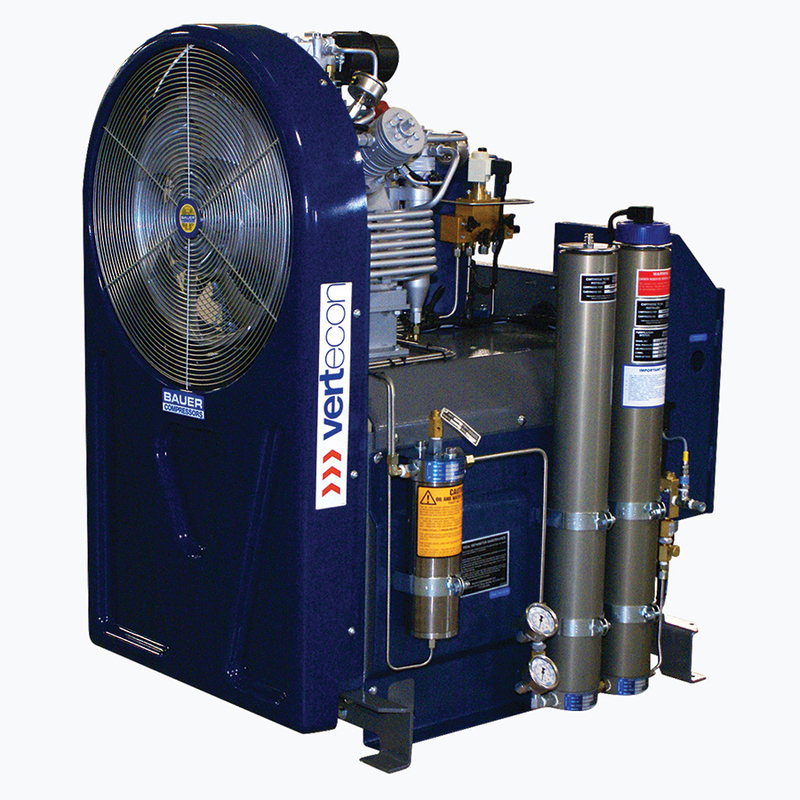 In constant manufacturing for over 70 years, Bauer’s medium and high pressure compressor systems are designed to meet needs for applications of air & gases up to 7000 psi. 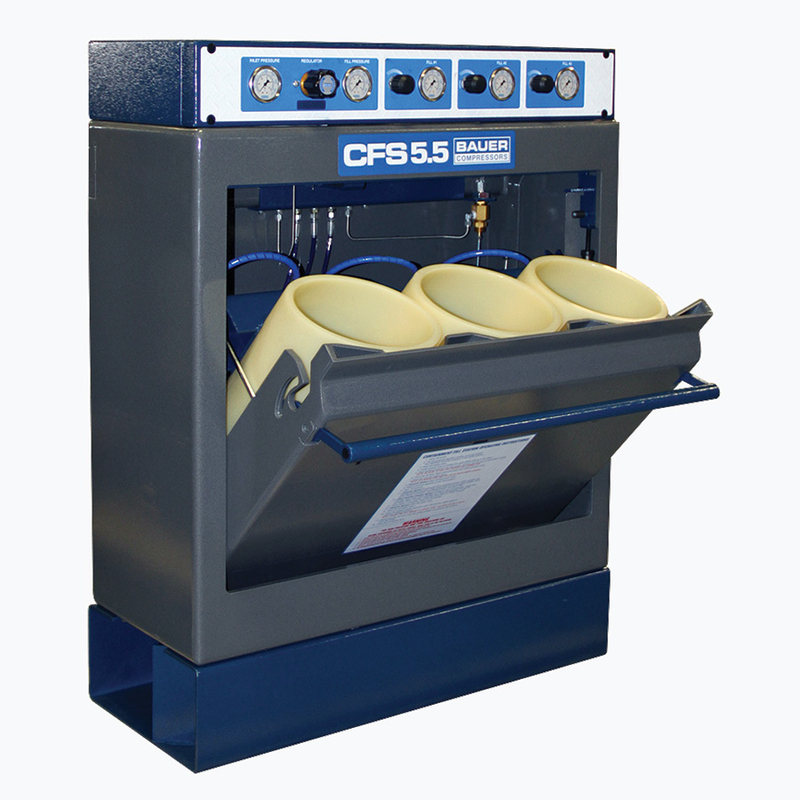 These units are designed to be ef cient continuous duty compressors that are commonly utilized in manufacturing, testing, CNG, oil eld and the plastics industries. Either bare compressor con guration for adaption into a customer’s system or complete standalone compression modules are available. 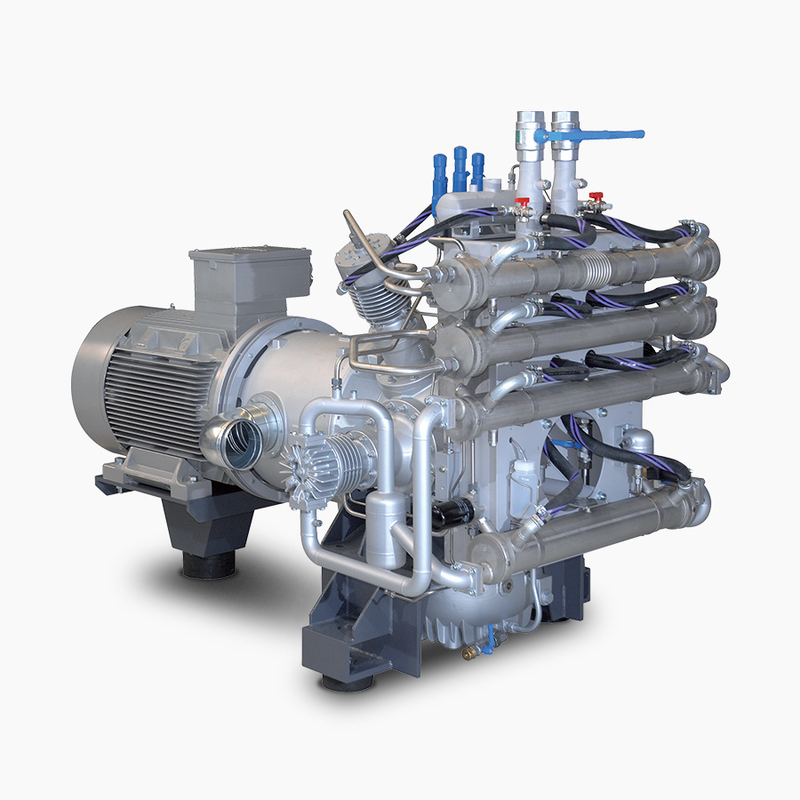 Filtration, gas storage, controls and oil removal systems are available as accessories to all of the Bauer compressors. Specifically engineered and designed for rigorous duty under harsh offshore conditions. Solutions include high pressure air and nitrogen generation/booster systems for rig tensioning and motion compensation, BOP accumulator charging, nitrogen blanketing, coiled tubing, instrument air, and seismic applications. We offer a line of compressor solutions that are ideal for both the Paintball and the Less-Lethal Law Enforcement industries. 1- and 2-stage boosters for air and nitrogen available in three different models. Open models offer a budget conscious practical solution while enclosed models can be installed in occupied spaces. Both styles include a full-featured control system for unattended automatic operation, offering a perfect, continuous-duty rated solutions for a wide variety of applications. Large-dimensioned bearings and the sophisticated water cooling, in combination with the intelligently designed dry sump lubircation, minimize thermal stress and wear, for a reliable and trouble-free operation under most dif cult ambient conditions. When an application requires storage, either in the form of a single cylinder or multiple cylinders, arranged either for bulk or banks of cascading, a properly sized storage system offers many bene ts to the compressed air/gas system.